Discover how Vments can transform your existing infrastructure into a fully functioning networked ecosystem to meet the challenges of a rapidly changing fintech landscape. New technologies have changed the way your customers interact with your institution and their finances. They also enable new business and economic models, cost savings, and new revenue source opportunities. Existing legacy systems and service contracts need to be phased out and replaced with new and relevant functionality to support today’s customer preferences. Our patent pending Blueprint of Our Products and IP is a starting point to work with Our Services to follow the Roadmap to implement, integrate, and customize Our Use Case Destinations of the Vments Enterprise Digital Banking (EDB) Platform and Ecosystem. These are the pillars of What We Offer. 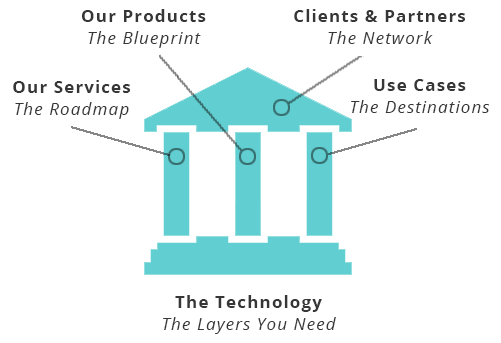 Vments technology stack supports these pillars and is the core of our private distributed ledger ecosystem. Our Clients & Partners that makeup The Network share in the benefit of its network effect in addition to its many other benefits. Why go to the ATM for cash when you can download and use it directly on your phone? Vments’ first Use Case is focused on digital cash fee-free transactions.